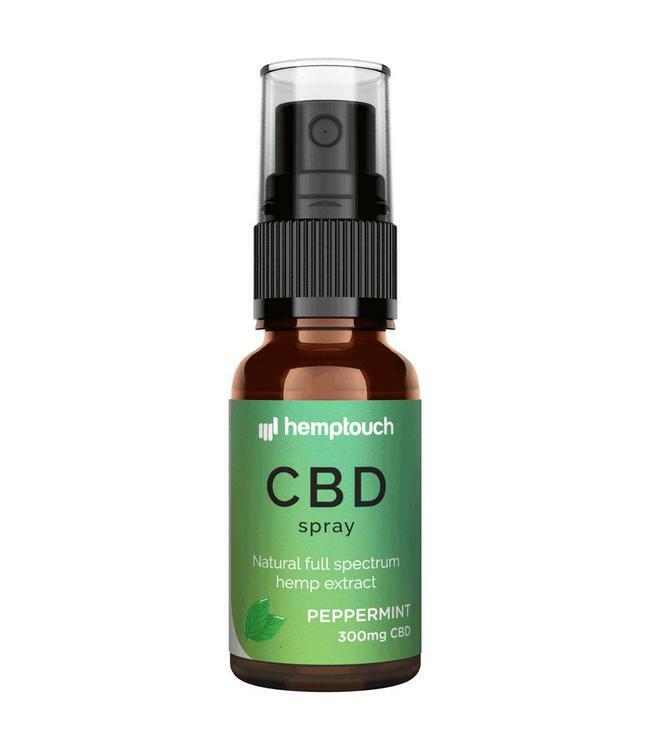 Hemptouch CBD Spray is an easy-to-use spray bottle of 20ml with 300mg CBD. The CBD Spray provides you with an easy way to administer your daily dose of CBD. Simply spray under the tongue 2-5 times and you can start your day! 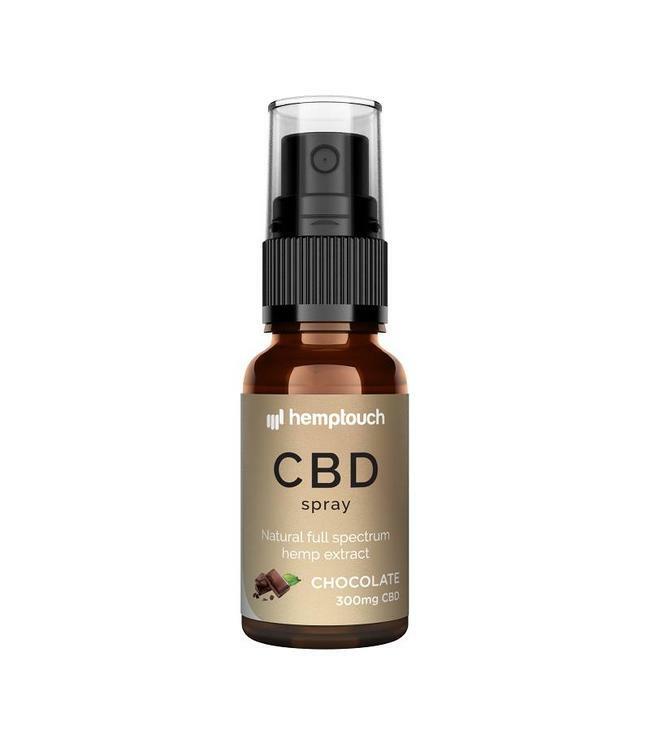 Read more..
Hemptouch CBD Spray is an easy-to-use spray bottle of 20ml with 1,5% CBD. The CBD Spray provides you with an easy way to administer your daily dose of CBD. Simply spray under the tongue 2-5 times and you can start your day! Do you find the taste of hemp unpleasant? You do not have to worry about the unpleasant taste of Hemp any longer. Instead of using hemp oil to carry the CBD, coconut oil is used to soften the taste. And the CBD Spray is made with natural orange flavourings. The CBD spray will make your your daily dose of CBD a pleasant experience! 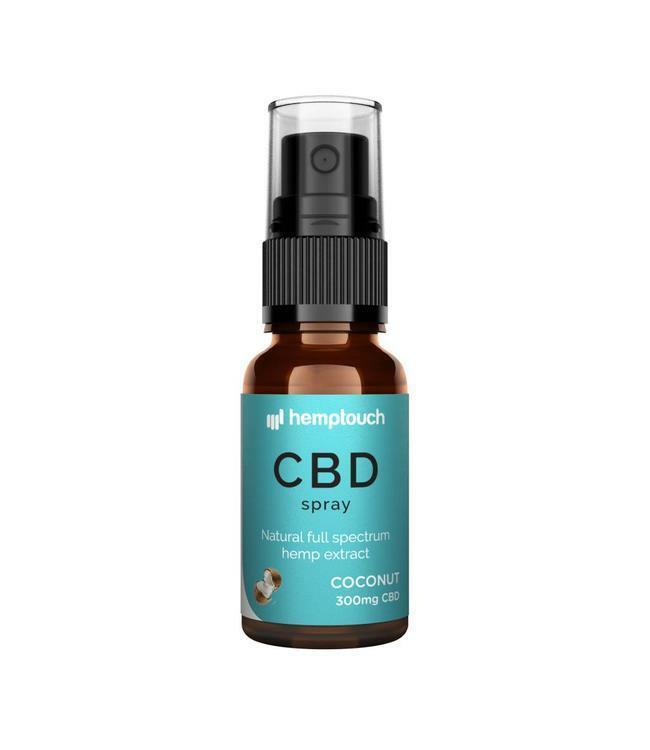 Never struggle with dosing and the unpleasant taste of hemp again with Hemptouch CBD Spray! MCT (Medium Chain Triglycerides) oil, hemp (cannabis sativa) extract, natural chocolate flavouring. Take 2 - 5 sprays under the tongue daily. Shake well before use. Keep out of sunlight, hot and moist enviroments. Store the product in a dry and cool place.